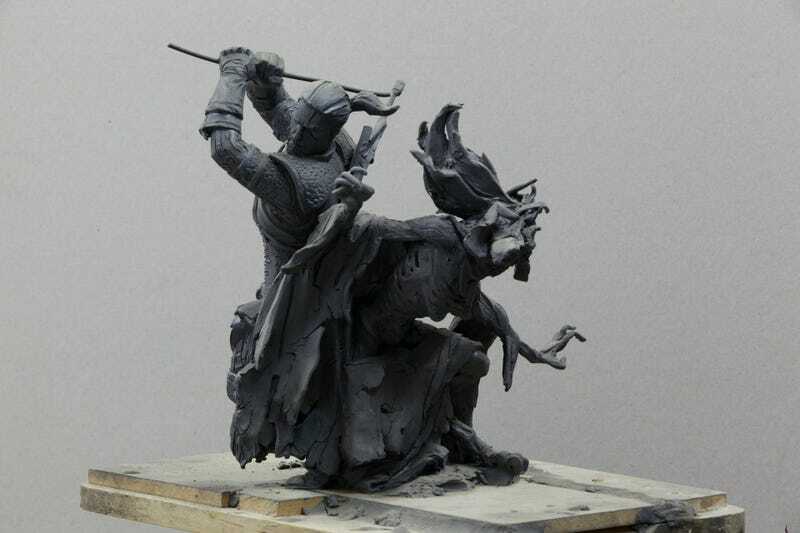 Tomek Radziewicz is a concept artist, but he’s also a sculptor, and he’s recently done some work on The Witcher III that’s a little more tangible than a lot of the stuff we normally post here on Fine Art. This amazing sculpture was designed and built by Radziewicz (with help from Arthur Wochniak), and now stands opposite reception at CD Projekt’s head office. Below is the sculpture’s journey from design to completion. Note that the plasticine shots are from a small-scale draft, not the finished statue (which is huge). You can see more of Tomek’s work at his ArtStation page.